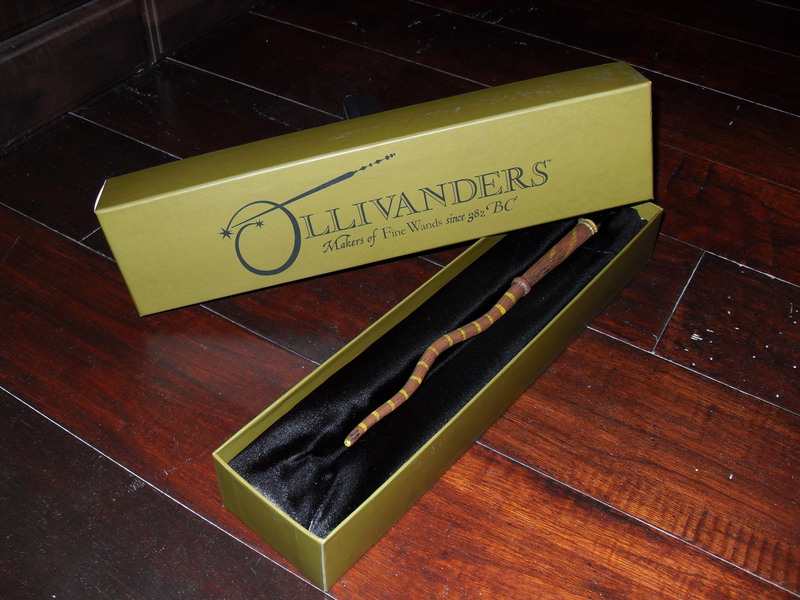 Sneak Peek Part 3: Ollivander’s, Butterbeer, and More! So after the Forbidden Journey ride in Hogwarts Castle, my hubby needed to rest his stomach a bit, so he found a seat in the Owl Conservatory. Owls of all sizes roosted in the rafters of this open seating area…but since they were animatronic, there was no owl poop! Nice! My son J was dying to go on Dueling Dragons, now appropriately part of the Wizarding World, and so he got in line for that. I wasn’t too keen on a rolling roller coaster so soon after flying about on a broom, so I found my downtime at Ollivander’s Wand Shop. There was a line to get into Ollivander’s, which made me wonder why Universal designed such a small gift shop! But the line moved quickly, letting in groups of fifteen to twenty people at a time, and I soon found out why…Ollivander’s is actually a show! A very, intimate, quaint show that gives the place a very authentic feel. As I entered the wand shop, there was shelf upon shelf of wands, all stacked together as if they had been there for centuries! As a collector of old books, I loved the musty-dusty feeling of the place, but yes, it was a tight fit for all of us in there. A quick gripe: This real gift shop still left me wondering why on earth Universal designed something so small! It was nearly impossible to navigate through the crowded, tiny space to find the perfect wand or anything else for that matter. You could purchase a celebrity wand (Dumbledore’s, Draco’s, He-Who-Must-Not-Be Named’s, etc.) or you could purchase one based on your birthdate. I went for my birthdate and got that kooky striped one that seemed perfect! Another quick gripe: Yes, I willingly paid my near $30 for the plastic toy in incredibly nice wrappings (love the box!) 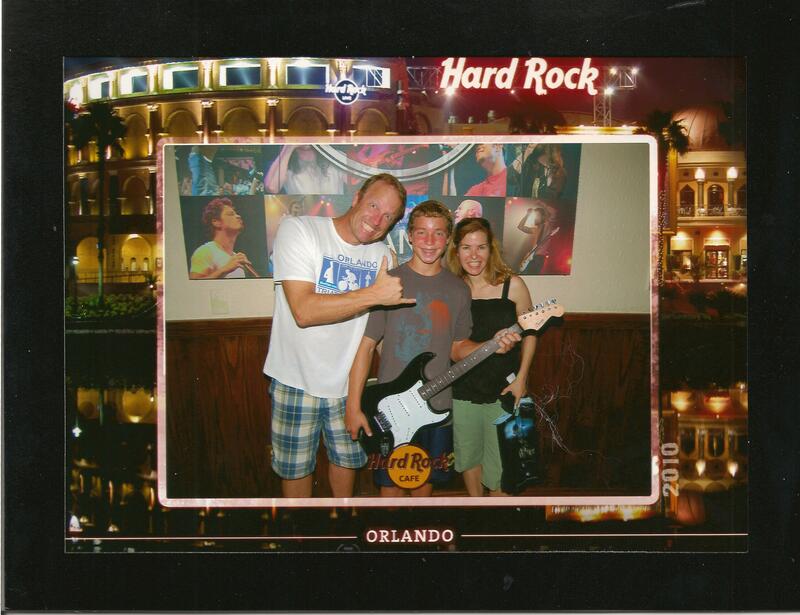 but it would have been a much better effect if they had included a simple slip of paper that told a bit about my wand. For example, does it have a unicorn hair in it? Or a dragon heartstrings? Or a phoenix’s feather? When was my wand made, etc.? This would have added greatly to the fun of my fine wand made just for me! Oh well, maybe that touch will be forthcoming. At any rate, all griping aside, I highly recommend Ollivander’s at it was my favorite thing about the attraction! 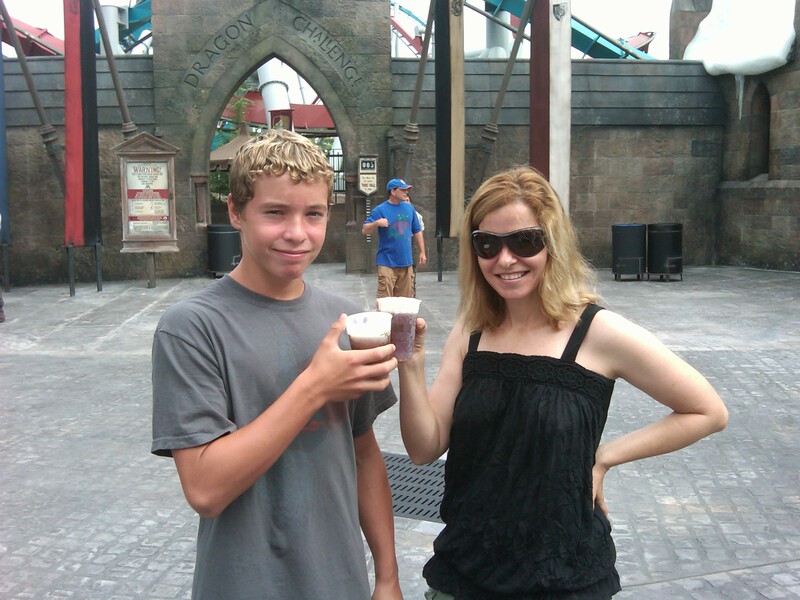 After that, my son and I reconvened with my hubby, who still was a bit disoriented, and we all tried a bit of butterbeer. It is extremely sweet and the froth on top is extra yummy! I do not recommend the regular, though, as it reminded me of day old sticky root beer that has sat in the Florida sun for too long, but the frozen butterbeer is infinitely better…YUM! All in all, we’ll be back after the crowds from opening day die down a bit. I highly recommend you go see it, especially all you Harry Potter fans out there. Here’s hoping the magic is real!